Last Bean Hole Bean Supper for this Year! 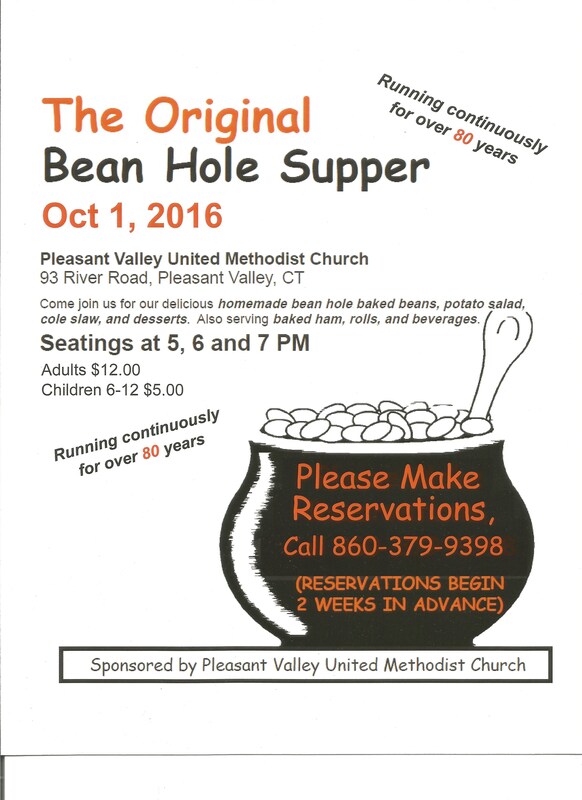 The final Bean Hole Bean Supper for 2016 will be held on Saturday, October 1st. Details for reservations are found on the flyer pictured below. For more information about our suppers, including the menu, click on the Bean Hole tab at the top of this page. Please come and enjoy a hearty meal with us….we look for ward to seeing you!! Hi Cassie. Thank you for contacting me regarding the Bean Hole Bean Supper reservations. You can call Cathy at 860-379-9398 and she will be happy to take your reservations! We look forward to seeing you.